People getting onto a bus a Dickson bus station. 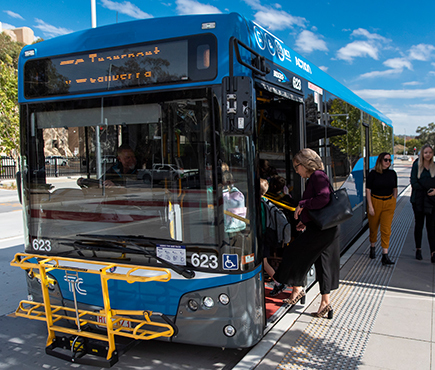 The new interconnected transport network includes the introduction of light rail, more buses, more often, seven days a week. 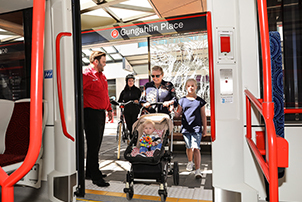 There is also construction on a new depot at Woden and the launch of new ticket vending machines. New services will operate in time for the start of school term two on Monday 29 April 2019. The launch of the new network will also see a month of free travel, until 26 May, for all passengers using a MyWay card, (terms and conditions apply). To find out how Canberra’s network is changing for you and your region visit here.